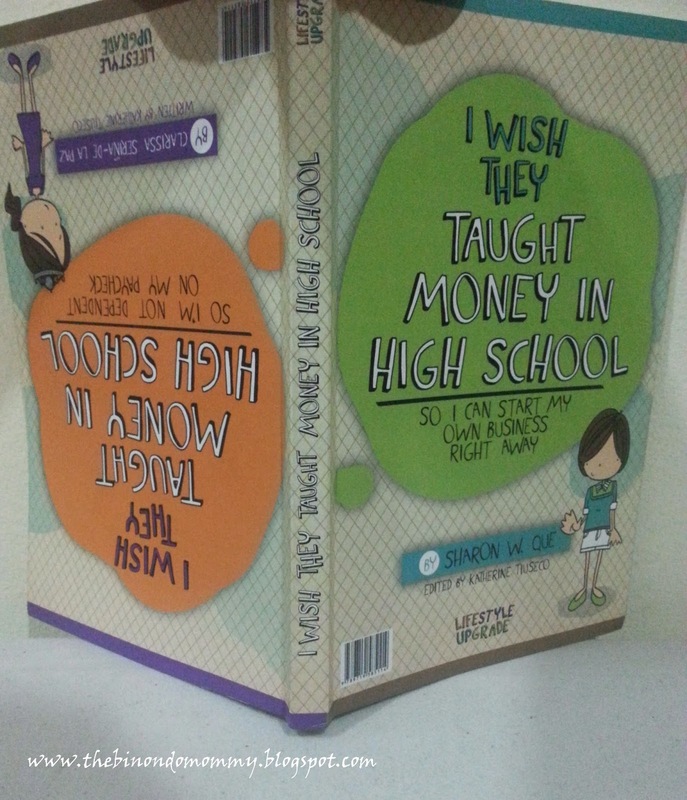 I came across a fairly new book entitled "I Wish They Taught Money in High School". The title of the book immediately got my attention because that was also my wish and the skill that I really wanted to work on: how to make more money. I used to be a happy-go-lucky gal not until I became a wife and a mommy because I now need to set aside a portion of my money for household use and some unplanned sale shopping for our baby. Although it helped that I am breastfeeding, cloth diapering, and baby-led weaning my child that we didn't need to spend much for consumables other than our weekly groceries. "Live a frugal life and delay the luxuries", that's what my husband would always remind me. My husband and I are the exact opposite. I am a trend-follower wanna-be while he is a financial know-how but I'm thankful with that because he has mold me to become a more disciplined person. He would pressure me to aim for multiple income streams to grow our money and to think of the long-term. And I'm totally convinced because that's how I should be in order to reach my life-long dream of traveling around the world. This year, I have started opening my doors to learn more about income-generating activities. I'm so happy that this book came in so timely. And to my surprise, the two authors were very familiar to me because I have met them through a leadership seminar named Purposeful Stewardship Institute (PSI) way back 2008 which made me more interested to read it. I Wish They Taught Money in High School is a two-in-one book written back to back by each author. One side is about So I Can Start My Own Business Right Away by Sharon W. Que and the other half is about So I'm Not Dependent On My Paycheck by Clarissa Serina-De La Paz. Let me share with you some of the lessons I learned from this book. I actually started out first with I Wish They Taught Money in High School So I'm Not Dependent On My Paycheck by Clarissa De La Paz since I'm just a regular employee. Her introduction got me so eager to know the secrets on how money grows on trees and that there are lots of means to grow your money aside from just keeping them in the bank. "...regardless of what occupation..., if you work for money 8 hours a day, there is a way for your money to work for you 24 hours a day. There is no reason to be in a sorry position wherein you take a job you're not particularly interested in, only because it's the one that pays enough for you to cover the bills. Neither is there a reason for you to be so dependent on your paycheck...there is a way, and like most valuable things in life, it won't be instant, but it will be worth it..."
"There's no shame in being employed and receiving a paycheck, but it's what you do with it that will get you out of the rat race and closer to achieving your dreams." Start having my own checkbook or checking account and practice having a rich mindset. Learn how to play Cashflow 101 board game and Plants vs Zombies. Make something out of nothing. Make money using my knowledge, talent and other acquired skills. Paint a clear picture of my dream by putting a deadline and price tags. Grow my passive income by investing on big businesses and multiple investment vehicles because "money in investments mature and get better with age". Learn to work SMART by having money work for me. Read more financial books such as Rich Dad, Poor Dad; Rich Dad's Cashflow Quadrant; Retire Young, Retire Rich, etc. The other side of the book is also equally interesting. I Wish They Taught Money in High School So I Can Start My Own Business Right Away by Sharon Que is actually an expounded version of some of the points mentioned from Clarissa's book, only with more concrete and true-to-life experiences. An excerpt that says: "A good businessman is a quick problem solver that knows that no amount of drama or crying will solve the problem. Keep your eyes on the prize and move toward accomplishment. If trials lead you to a detour, ride with it and learn from it but eventually get back on track." Before putting up your big businesses, remember to hire a good accountant and a good lawyer. 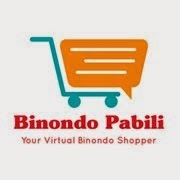 There are many options to start-up a business such as: real estate, trading, franchising, online selling. Set-up passive income streams such as investing in stock market or mutual funds. Apply the Rule of 72 to know how fast you can double your invested money. So there, I hope the things I mentioned were enough to heighten your interest in reading the entire book. I guarantee, you won't get bored or intimidated with the terminologies used. Everything is in layman's term and very enticing to read because of its cartoony graphics and catchy phrases. There are lots of useful tips and techniques presented which you could only learn from this 140-page book. What's best is that you get a summary of some of Robert Kiyosaki's best selling financial books. The book retails at P500 but it is all worth it especially if you could put the lessons into actions. I personally hate reading books and could hardly finish a simple book but to my surprise, I finished this one! I'm thankful to this book for opening my eyes to various money-generating ideas and putting my financial knowledge one notch higher. I felt that I learned a lot more from this book as compared to my whole college year. Haha! My hubby is so happy and excited for what I have accomplished. Can't wait to apply them and see my money "grow on trees" too! And to avoid being a late bloomer like me, we promised to teach our child the concept of money at an early age. Congrats Sharon and Clarissa! Thank you for imparting your knowledge and expertise to us. Cheers! Interested? Visit your nearest National Bookstore and Fullybooked now to get your own copy of the book! Check out their social media sites and get carried away with their inspirational quotes and money-making activity updates. Nice review! Made me want to read the book!